Yesterday was Outdoor Classroom Day and we were very fortunate to have amazing weather for the day. 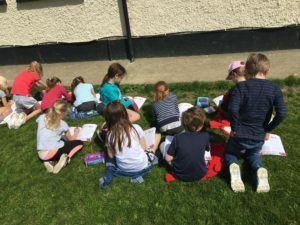 Here we are doing our Maths outside, it was great fun! Next story Lego in School.